On reaching the end of the street, repeat Step 1. Close your eyes, spin around 10 times, open your eyes and walk towards the alley you are now facing. Do you feel a sense of unpredictability… a sense of adventure? You’re discovering art that you didn’t know existed before this tour. I don’t know where you are right now, but I do know that as you walk down the street, art is present all around you (whether in the form of a little sticker or a big paste-up) and is taking you on a journey that is unique to you and you only. “Stop 2,” Street Art deTours, accessed April 20, 2019, http://streetartdetours.com/document/1087. Published on Jul 1, 2015. Last updated on Jul 15, 2015. 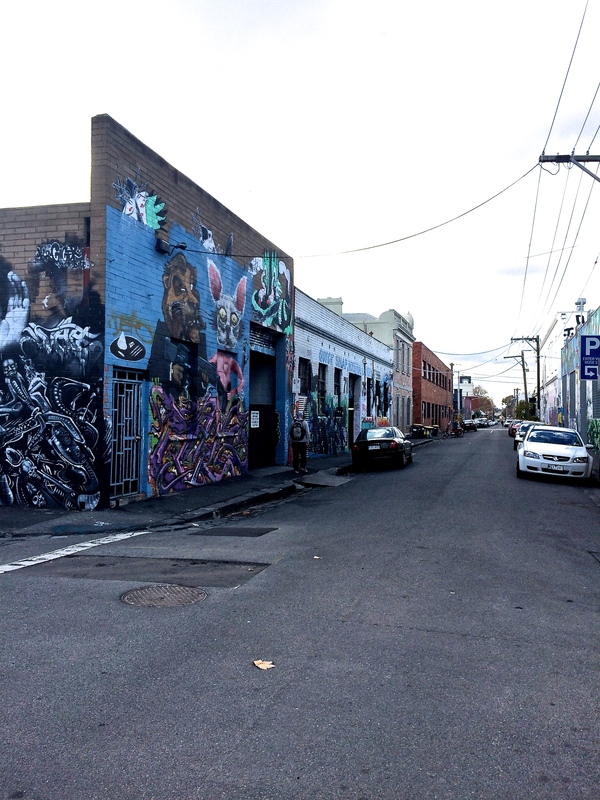 Are all the locations on Street Art deTours publicly accessible? How do you choose locations for each detour stop? or The location is wrong! Placing historical detour stops on a map can be tricky. We choose locations based on what we think makes the most sense. Sometimes we get it wrong (and sometimes there is no "right" answer). Feel free to email us at streetartdetours@gmail.com with suggestions for improvement.